Find hotel near Vazhappally Sree Mahadeva ..
India is a land of spirituality, and therefore, we find plenty of temples throughout India. Some temples, especially those in Kerala, are not only known for their architectural beauty but also for the lush greenery they are surrounded with. One of these is Vazhappally Maha Siva Temple. This is a Hindu temple built by the first Chera King Dynasty. 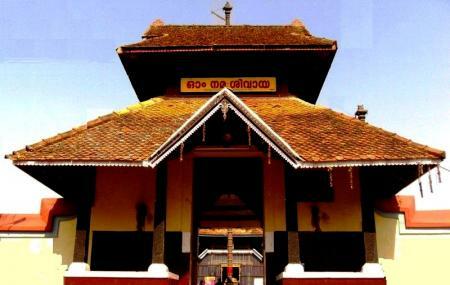 A legend says that the state of Kerala was gifted by Lord Parasurama and the Maha Dev idol in this temple was established by Lord Parasurama himself. The temple is built is a traditional Kerala style. Use Changanassery trip planner to visit Vazhappally Sree Mahadeva Temple and many others to your visit. Add comfortable hotels to your plan, choose from the recommended hotels in Changanassery like Kga Elite Continental Hotel Pvt Ltd, The Windsor Castle and Hotel Aida. Chalk out the best way to discover the city with Changanassery vacation packages. Check out various modes for how to reach Changanassery. Love this? Explore the entire list of places to visit in Changanassery before you plan your trip. Fancy a good night's sleep after a tiring day? Check out where to stay in Changanassery and book an accommodation of your choice. A must visit temple for devotees. Nice atmosphere. A place under archeological department. The recorded history goes back to 800 AD. Hence, in addition to being one of the best temples in the Changanacherry area, this temple also has historical importance. A peaceful Lord Shiva Temple. Divine spot.